Sub Rosa, an independent film made by MSU students during the spring of 2018, has received recognition from three film festivals. The short is an official selection in the Human Trafficking Awareness Film Festival, the Catharsis International Film Festival and the First City Film Festival. 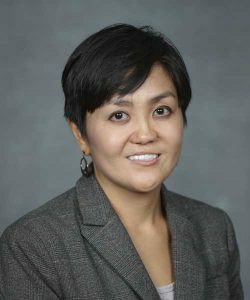 Assistant professor Jocelyn B. Millana worked as the faculty advisor to the students making Sub Rosa. The film follows a group of students staying at a cabin on a lake. When one of the students is murdered, his friends try to figure out what happened. 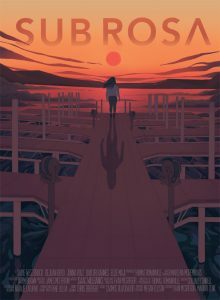 Sub Rosa was one of two films approved for production last semester, out of a competitive group of short film pitches. Millana gave the students strict deadlines to meet, which helped prepare them for the real world of filmmaking. The students had to interview with Millana personally to determine whether or not they would receive credit hours for their work on the film. The students then had to meet with Millana three times during pre-production, production and post-production to confirm their work was on schedule. Another requirement of Millana’s was that the students fundraise for their film by asking local businesses for donations. Millana encouraged the students to make diversity and inclusion their goals as well. Millana was adamant that she was simply a guide for Sub Rosa. In response to the film program’s continued growth and evolutions, the independent filmmaking initiative is evolving. Going forward, student filmmakers will take independent studies as summer course work and will be required to recruit a total of at least ten students to work on the crew for the project.